Designed by Karup Partners in Denmark and manufactured in FSC managed forest redwood pine, available in a choice of finishes and sizes. Please select your Twist Bed size. 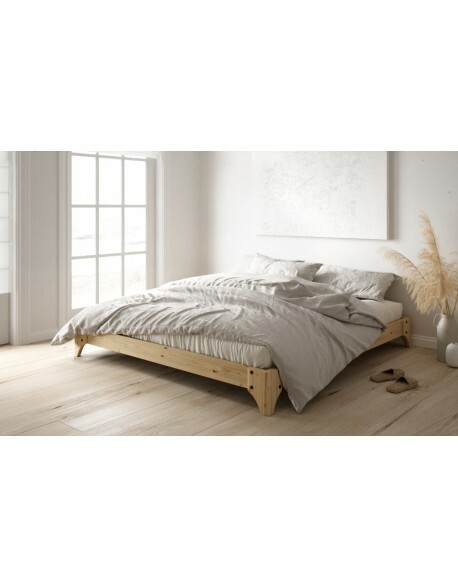 Natural Pine finish Twist bed frame.Satin White finish Twist bed frame. 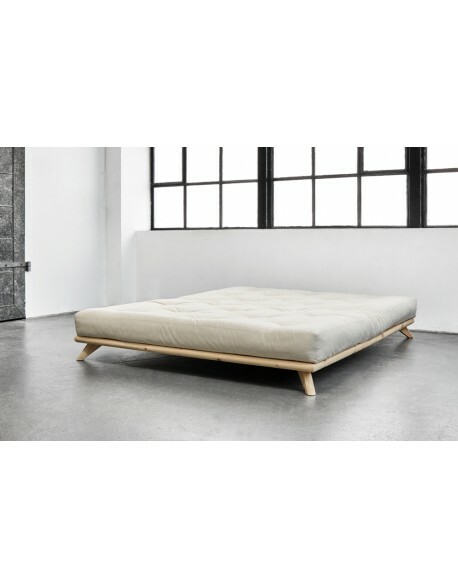 Simple modern lines combined with nice quality redwood pine construction make the Twist Futon Bed an excellent choice for rooms with a minimal or natural style. 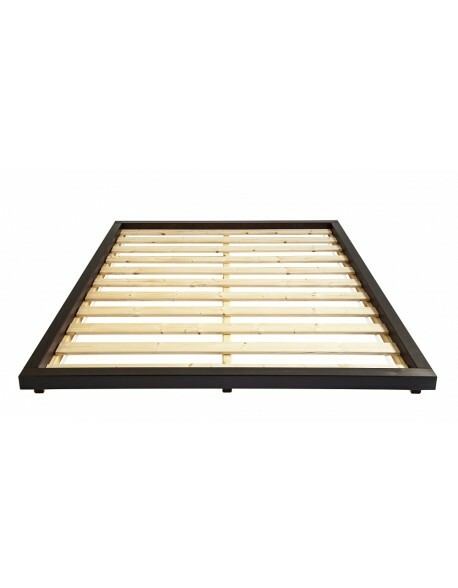 The timber frame is manufactured in FSC Certified (managed forest) Scandinavian redwood pine from Europe which is then finished in a choice of natural pine or satin white finish and is available in a choice of two European sizes, double - taking a 140 x 200 cm mattress or super king - taking a 160 x 200 cm mattress, just make your selection below in the drop down menus. 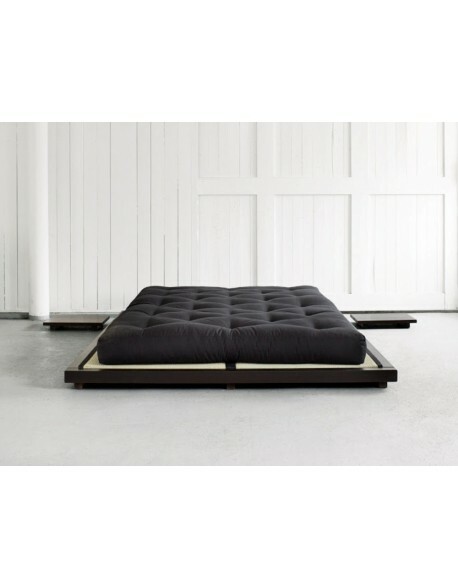 The Twist Futon Bed can be purchased as a bed frame only or combined with one of our futon mattresses in a choice of fillings to suit your requirements. Follow this link for more information on our Futon Mattresses, then make your selection from the menu above. 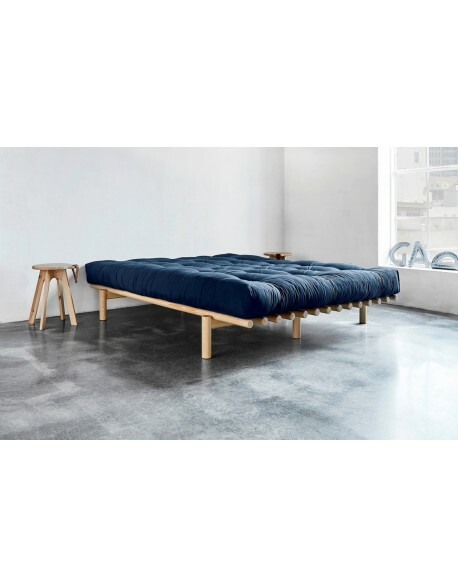 IMPORTANT Note: The mattress size needed for the Twist bed is 200 cm long, if you are buying a futon mattress from us it will be sized to fit, if using a different mattress type please ensure you get a 200 cm length. Delivery on this item is 3 to 4 weeks. How long for delivery? The Twist Bed is usually 3 to 4 weeks delivery.